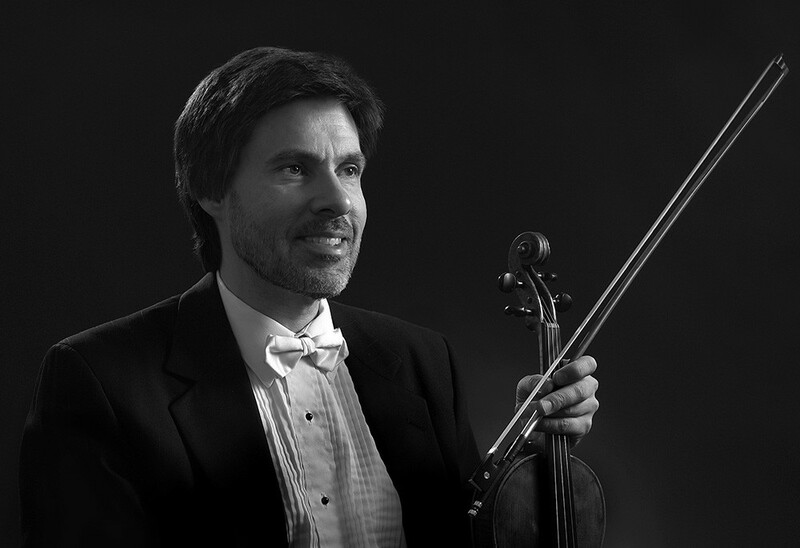 John Lowry has been Associate Concertmaster of the Calgary Philharmonic Orchestra since 1987. He was Concertmaster of the Edmonton Symphony for the 2002-2003 season, and has served as Guest Concertmaster of orchestras in Halifax, Winnipeg, Kitchener-Waterloo, Red Deer, and the Adelaide Symphony in South Australia. John began his musical studies in Edmonton with Ranald Shean and went on to graduate from the University of Toronto and Yale University. His teachers have also included George Neikrug, David Zafer, and the eminent American virtuoso, Oscar Shumsky. John has been a member of such musical organizations as the Opera Company of Boston, Esprit Contemporain, and the Canadian Opera Company. He was formerly Concertmaster of the New Hampshire Philharmonic and Opera New England, and has also performed with the Toronto Symphony Orchestra, National Arts Centre Orchestra and National Ballet. He was previously on the faculty of the University of Manitoba and the University of Lowell, Massachusetts, and has also taught at the University of Calgary, Mount Royal College, and the Comox Valley Youth Music Centre. John has appeared as soloist with orchestras in Calgary, Edmonton, Toronto, Halifax, and Red Deer, with such conductors as Hans Graf, Mario Bernardi, James Judd, Jean-François Rivest, Timothy Vernon, and Ivars Taurins. As a chamber musician, he has collaborated with such artists as James Campbell, Bernadene Blaha, Rivka Golani, Kevin Fitz-Gerald, Eliot Fisk, Robert Silverman, and Angela Cheng. He has participated in the Pacific Rim Festival, Alberta Scene 2005, and the Windy Mountain Music Project. He is a founding member of Calgary’s Land’s End Chamber Ensemble, specializing in 20th and 21st century music, which won the Western Canadian Music Award for Outstanding Classical Recording in 2005 and 2006. His violin was made in Milan by Carlo Ferdinando Landolfi in 1769.
Who do you think are or were the masters of your instrument? Some of the great Violinists of the past were Arcangelo Corelli, Pietro Locatelli, Niccolo Paganini, Fritz Kreisler, and Jascha Heifetz. One of the best performances I have heard live with the CPO was that of Benjamin Schmid. I admire tremendously the playing of Canadian Andrew Dawes, for many years the leader of the Orford String Quartet. Tell us a little about your instrument. My violin was made in Milan by Carlo Ferdinando Landolfi in 1769. I would say that Landolfi is in the second tier of the great Italian makers. I purchased this instrument in 1998 at Bein and Fushi in Chicago. I feel very lucky to own it because as the prices have continued to rise, it has become almost impossible for my younger colleagues to buy such instruments. Do you play in any groups/ensembles outside of the orchestra? A great deal of my time is spent working with the Land’s End Chamber Ensemble, which specializes in 20th and 21st century music. Most of our concerts are in Calgary, but we have done some touring in western Canada, and also performed at Alberta Scene in Ottawa. Every year we play a new music cabaret at the Beat Niq Jazz and Social Club. What kinds of music do you listen to when you’re “off-duty?” What’s currently on your iPod? I find that since I am playing music all day every day that I cannot listen very much or I become saturated. However, J. S. Bach is never tiring. I like jazz very much… I enjoy listening to music live more than recordings, except for that which is over-amplified! How do you prepare for a concert? Any “pre-game” rituals? My mother sent me to violin lessons when I was eight, I would say about three or four years too late.